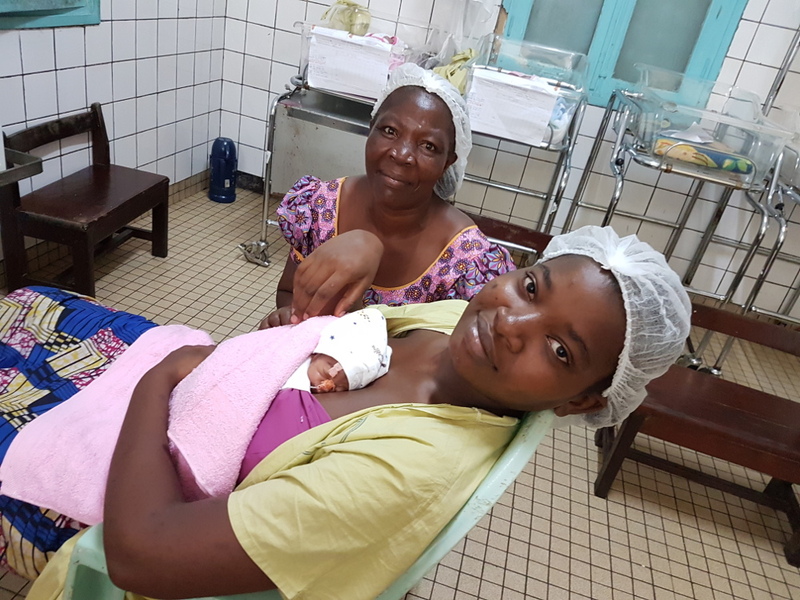 Kangaroo Mother Care (KMC) is widely recognised as an important evidence- based, low-cost intervention for improving the health and survival chances of premature and low-birthweight infants. So called because it resembles how kangaroo babies are carried around in their mother’s pouch, KMC consists of early, continuous and prolonged skin-to-skin contact between the caregiver and the baby, exclusive breastfeeding or breastmilk, and context-appropriate discharge and follow-up provided to the baby and his or her family. The practice dates to a hospital in Colombia in the late 1970s, where incubators were overcrowded. Doctors instead encouraged mothers to wrap their premature newborn against their chest to keep them warm. They noticed good results, and published their findings. Interest grew, and in 1996 a group of researchers from different countries and from the World Health Organization (WHO) gathered in Trieste, Italy, and formed the International Network of Kangaroo Mother Care (INK). Immediate skin-to-skin contact has been shown to benefit all babies (Moore et al., 2016), but the benefits of early, continuous and prolonged skin-to-skin contact (an average of 18 hours per day) are especially profound for low- birthweight (LBW) babies. LBW babies include those born before 37 weeks and those born later but still small for their gestational age. They account for around 15.5% of all births globally – and the proportion is even larger in low- and middle-income countries (Beck et al., 2010; Blencowe et al., 2013). They are significantly more likely to die shortly after birth or during their first year, and those who survive are significantly more likely to develop long-lasting health problems, particularly sensory deficit and neurodevelopmental disabilities (Lawn et al., 2014). They are also more likely to show signs and symptoms of instability in various dimensions such as sleeping and eating patterns, which adds to parental stress and combines with disappointment at the pregnancy outcome to put them at higher risk of being maltreated or neglected by their caregivers (Bakewell-Sachs and Gennaro, 2004; Frye et al., 2010; Kugelman and Colin, 2013). KMC is simple to implement in the sense that it requires no specialised medical equipment; it does, however, often require fundamental changes in mindsets and procedures. Over the last two decades, a strong and growing network of committed practitioners, with support from the WHO and other major international players, have helped to establish KMC ‘centres of excellence’ in over 30 countries, and KMC units in thousands of hospitals worldwide. 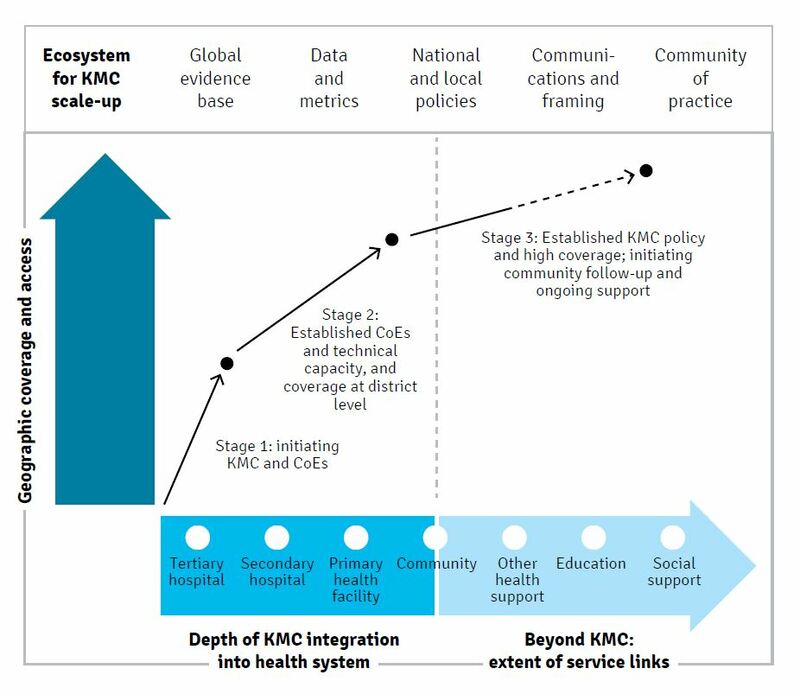 Relative to most other complex health interventions, KMC is already a success story of scaling in low- and middle-income countries. However, relative to the scale of the problem, the coverage of KMC still remains insufficient – even in the countries where it has been implemented most successfully. Comprehensive implementation could contribute to averting an additional 770,000 neonatal infant deaths annually (Howson et al., 2013; Lawn et al., 2013b). 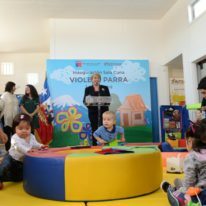 For the infants who survive, recent evidence confirms that KMC has a lasting impact on their physical, social, emotional and cognitive development (Frye et al., 2010; Charpak et al., 2017). As part of a workshop to mark the 20th anniversary of KMC, a group of practitioners and advocates met in November 2016 in Trieste to reflect on the lessons of two decades of scaling KMC, and to develop an approach to accelerate it. Research and case studies have shown that KMC implementation is most effective when it meets three criteria: it is integrated, staged and strategic. Mitigating the risks associated with prematurity and low birthweight requires not only timely and effective care at birth and in the immediate postnatal period, but also adequate follow-up and support over the first two or three years. Many of the complications that manifest in this time – such as visual or hearing deficiencies, motor deficiency and cognitive impairment – can be prevented or cured (Charpak et al., 2017). 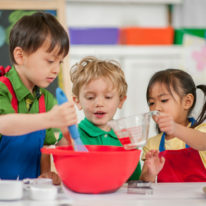 infant and child care: giving parents guidelines for care, following up to identify and address developmental issues, supporting positive parenting practices, and supporting the family through home visiting and facilitating early education or day care (Lawn et al., 2013a). 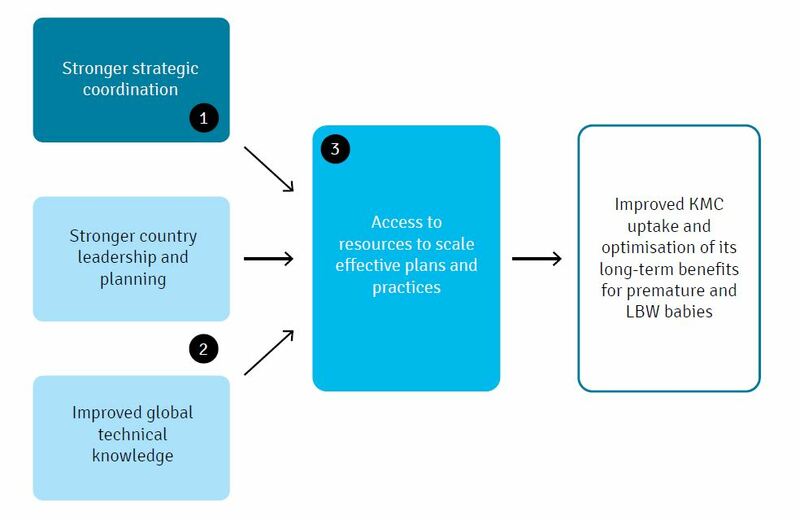 This full package of ‘KMC and Beyond’ interventions is, however, beyond the capacity of many health systems in low- and middle-income countries. There is a natural evolution to each country’s progress in scaling-up KMC coverage and complementing it with other key interventions in the postnatal period and with adequate follow-up. First, establish a ‘centre of excellence’ (CoE) and focus on in-hospital care. Next, build technical capacity and expand coverage to district-level hospitals and primary health facilities. Ultimately, integrate more comprehensive follow-up and family support at community level, as allowed by increases in country capacity. "KMC implementation is most effective when it meets three criteria: it is integrated, staged and strategic." A primary driver of KMC expansion over the past 20 years has been committed practitioner champions. 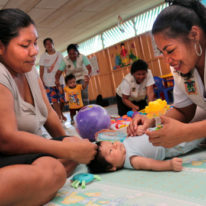 In particular, the Kangaroo Foundation of Colombia has trained hundreds of practitioners, who have then been capable of establishing KMC in their home hospitals. Neonatal medical specialists need to make fundamental changes in their practice, and other staff require extensive training. Hospital administrators need to change hospital procedures, such as opening the neonatal ward to visitors 24 hours a day, and allocating resources to make space for parents to stay in the neonatal area with their low-birthweight infants. Government health ministries and insurers may need to change medical reimbursement policies to overcome economic and logistical disincentives to KMC. Key stakeholders for country scale-up – ministries of health, other government institutions, professional societies and non-health actors – have often not been sufficiently engaged. Lack of strategic alignment across sectors has meant that efforts to scale KMC have often met resistance at the hospital, regional, and national level, despite the strong evidence for the efficacy of the practice. More effective progress will require greater strategic alignment as well as stronger country-level leadership. Building on 20 years of momentum from the INK, bring greater strategic coordination and professionalisation to the global network of practitioners – for example, enhancing the social marketing and communication of KMC and facilitating better alignment of KMC with other platforms and collaborative efforts related to neonatal care and adjacent spaces. Catalyse country-level leadership and planning through support for country- and region-level workshops and cross-sectoral coordination, and enhanced global technical leadership on issues that would benefit from shared knowledge such as sharing effective approaches in training and experiences of implementation. Create a high-profile, global challenge grant mechanism that will incentivise countries to develop actionable plans for national scale-up of key interventions, and subsequently provide funding for the transitional investments required for plans meeting predefined criteria, where the country government has committed to provide ongoing operational funding. KMC has come a long way in the last 20 years – but millions more premature and low-birthweight infants around the world will have their lives transformed if we can find more effective approaches to further scale-up this evidence-based, low-cost intervention. 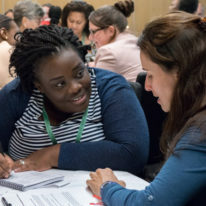 Adriano Cattaneo of the International Kangaroo Care Network, and Jenny Rabinowich, Matthew Rehrig, and Moitreyee Sinha of Global Development Incubator, collaborated on an earlier concept note from which this article is drawn. Grand Challenges Canada provided funding for the effort.